If winter was an endurance race, well, we can finally see the checkered flag. We’ve spent the past few months of northern darkness hibernating in the studio, writing and recording our new album, and with the sun once again beginning to thaw the ground we’re getting excited to provide the soundtrack for the summer. 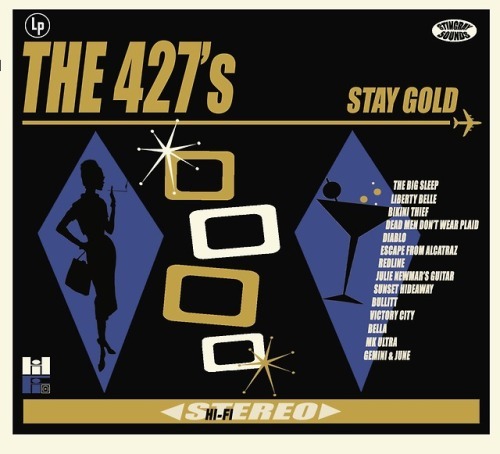 “Stay Gold” is fourteen songs inspired by the swinging 60s, surf music, film noir, bossa nova, rockabilly, exotica, and spy movies guaranteed to liven up your days and heat up your nights. It’s time to put the top down, put the pedal to the floor, and put winter in the rearview mirror. “Stay Gold”: available June 2018 everywhere fine music is streamed.